Stronger, lighter and more shootable than ANY other over/under. 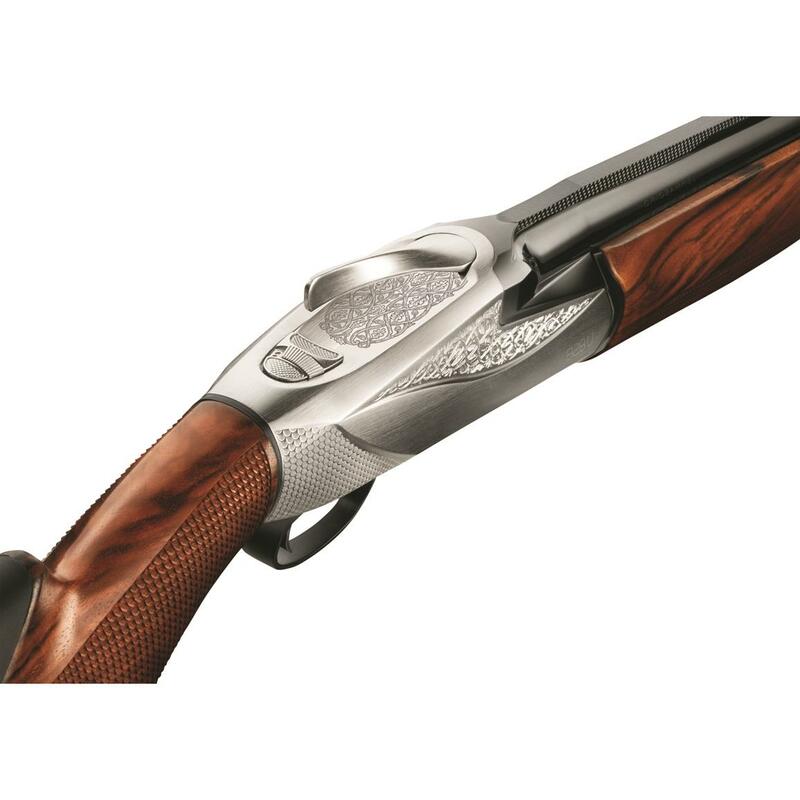 Blending the best of traditional design with technical ingenuity, the 828U combines premium materials and workmanship with signature Benelli® innovation to create a shotgun that’s as classically appealing as it is technologically advanced. 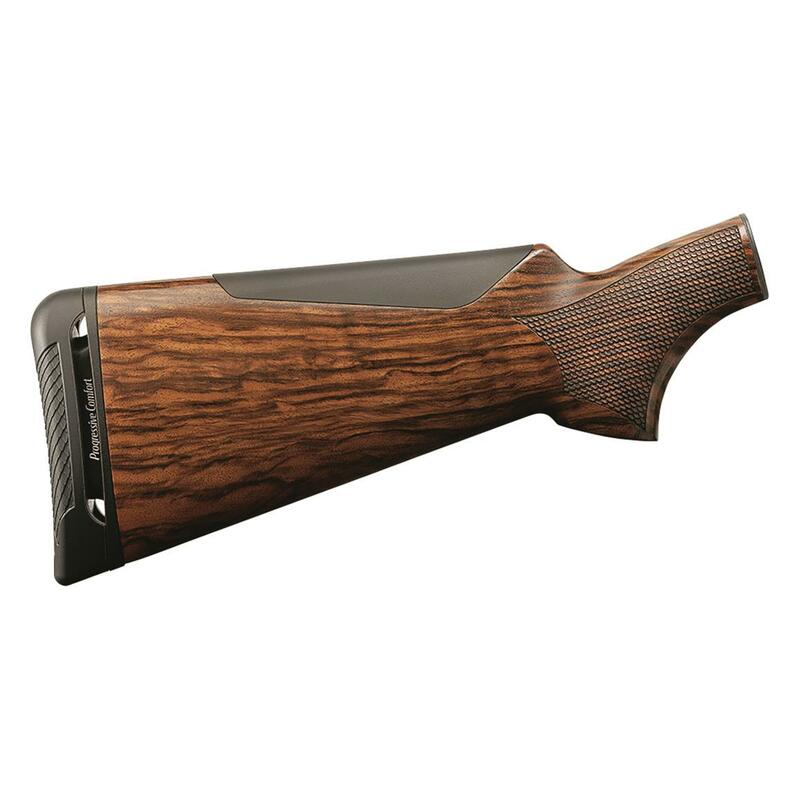 From the AA-grade satin walnut stock to the cryogenically-treated barrels, from the carbon fiber vent rib to the pristine laser-cut checkering, it’s a beautiful piece of craftsmanship. But it’s what’s inside the 828U that defies convention: ground-breaking technology that makes it stronger, lighter and more shootable than ANY other over/under on the market. 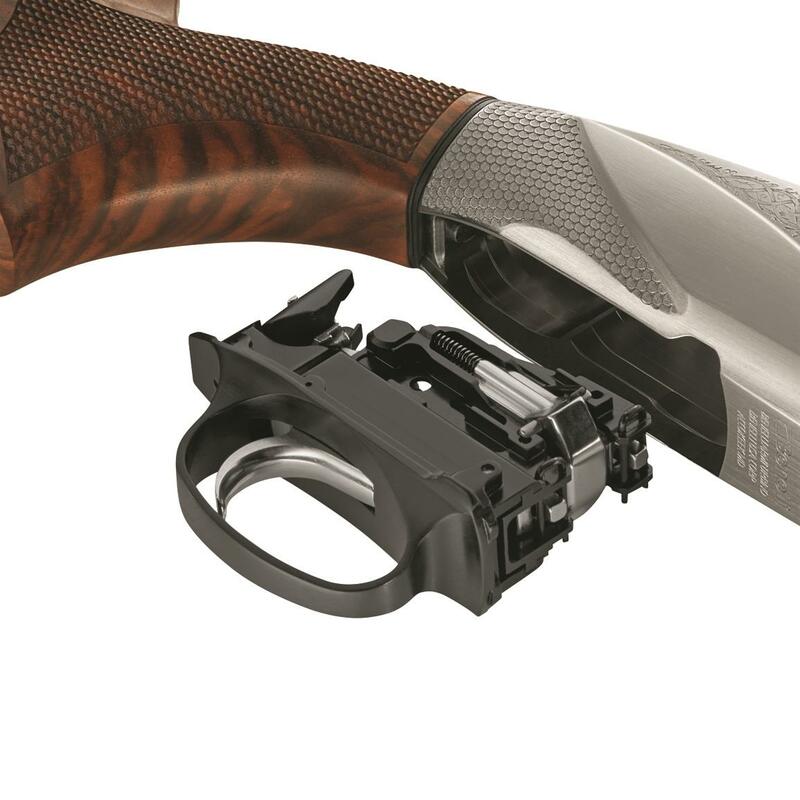 Benelli's patented Steel Locking System eliminates wear and tear on the receiver and hinge that cause traditional over/unders to fail. Incorporating this newly-designed system into an aluminum receiver creates a stronger, safer and lighter over/under that maintains perfect balance at 6.5 pounds. 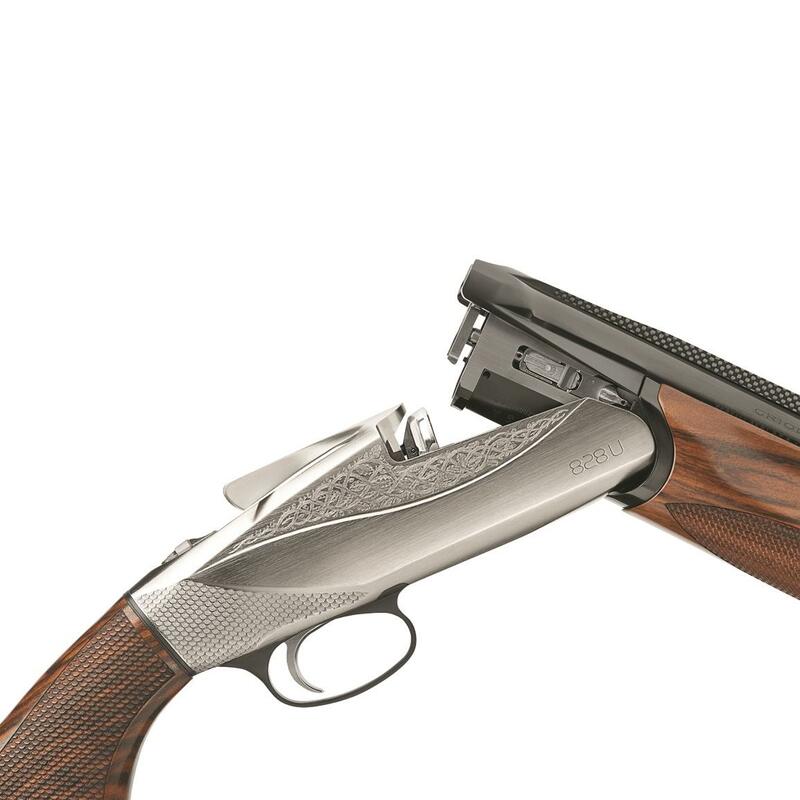 By locking the solid steel breech block to the rear of the barrel, all shot pressure is contained in the barrels—preventing any stress being transferred to the receiver and hinge pins. 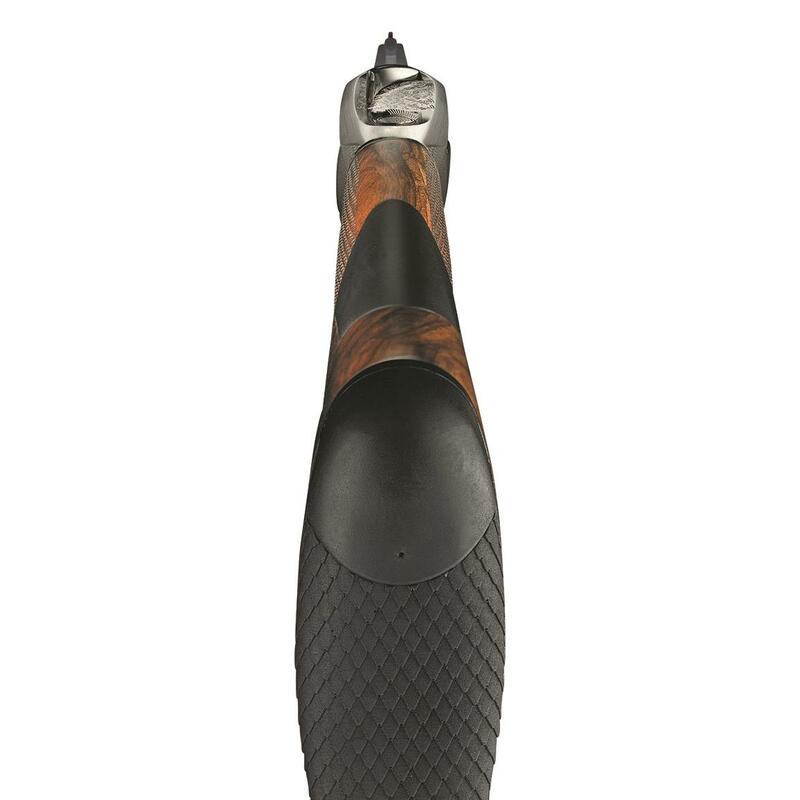 With over/under shotguns, the right fit is everything. Being able to comfortably mount in the same place every time is the key to consistent accuracy. Because no two bodies are the same, the 828U includes a kit of 5 drop shims, 4 cast shims, and 2 drop plates, providing 40 possible stock configurations. The included shims let you dial in your proper alignment and fit without the time and expense of stock modifications. Better alignment means better stock mount. Better stock mount means more birds in the bag. 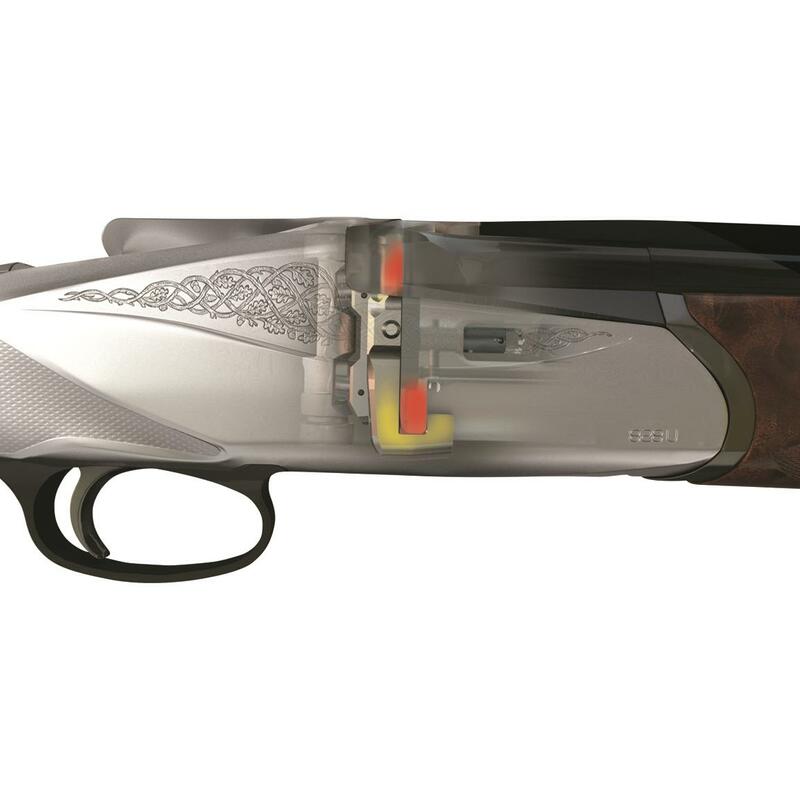 The Progressive Comfort® recoil reduction system incorporates three sets of patented interlocking flexible "fingers" that absorb recoil at different stages dependent on the strength of the shotshell’s load. These 3 sets of fingers each have a different elasticity, and the load used determines which sets of fingers are utilized for maximum recoil reduction. The first set of fingers is very flexible for light loads, the second set a bit stiffer for field loads, and the third set is optimized for heavy magnum loads. Blue-ribbon performance for the demanding trap shooter. 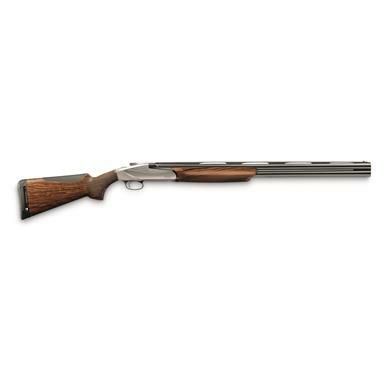 Say "bye bye birdie" with the sterling precision of a CZ.